The city of Calgary has grown by nearly 30,000 people from this time last year, according to census data released Thursday. 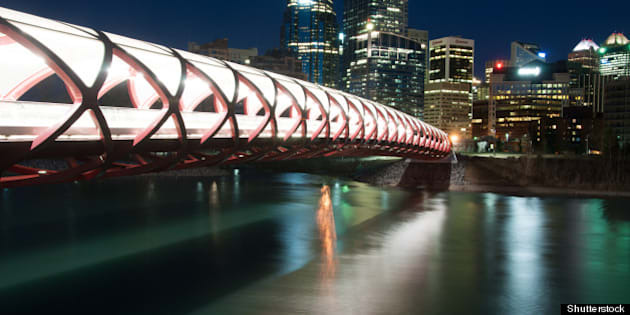 The enumeration data, which compares numbers from April 2012 to April 2013, show that Calgary is now home to 1,149,552 residents, up from 1,120,225 last year. Numbers also show the city's northwest and southeast are the fastest growing quadrants, with Evanston, Auburn Bay, Cranston, Skyview Ranch, Panorama Hills, New Brighton, Copperfield and Aspen Woods topping off the list of fastest growing communities. The data does not account for surrounding municipalities, such as Okotoks, Cochrane, Airdrie or Chestermere. For the first time, the city census data was obtained in a high-tech manner, utilizing mobile data devices, said Calgary Mayor Naheed Nenshi in a statement. "By utilizing mobile data collection, the need for post collection data entry was eliminated and resulted in more timely and better quality data,” he said. This year's census collection only garnered population and dwelling data. Next year's census will also include gender and transportation breakdowns. Click through the gallery below for a breakdown of communities and population.